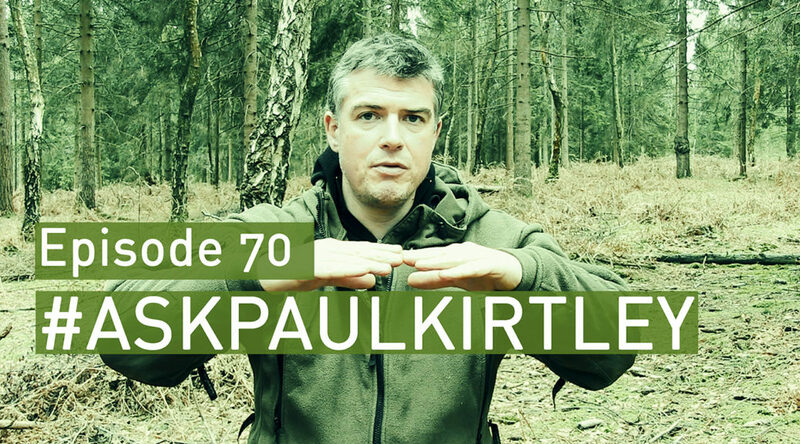 In this episode of #AskPaulKirtley, I answer questions on real survival with no food, the best areas for kayaking and wild camping in the UK, banking fires overnight, Combat Application Tourniquets (CAT) in first aid kits and Bow-drilling standing up. Like the look of the jacket you were wearing for episode 70 of ask paul kirtley. What make is it? Thanks for putting out such good quality content. You mention in the video that you teach first aid including tourniquet use, alongside a professional first aid trainer (Adam Gent? ), on one of your courses- which course is that please? Thank you for another interesting episode. Great comments of the C.A.T. tourniquet. While working for a metropolitan ambulance service, I have been trained in the application of tourniquets. As part of the specialist unit I worked for, we had additional, enhanced training as trauma was a specialist area for us. I can say the training is vital! I have seen a Dr place one incorrectly and increase the blood flow from a wound. My training in the removal of them was to do it under the direction of a Consultant trauma Dr so is limited to the emergency environment not remote medicine although I am also a qualified REMT, dive medic, as well as paramedic. Hi Robin, it’s good to hear from you. Thanks for your comments and extra insight here. Always appreciated. Perhaps I got the wrong end of the stick, I guess you may not want to advertise any of your courses for the general public as including first aid? Any particular course or company you would recommend? I asked my original question because I’m looking for a remote/wilderness first aid course and there are dozens run by private companies advertised online. I’m looking for a fairly specific gap in my knowledge/skills and most courses seems to be pitched for a different audience. I’m an anaesthetic doctor and an advanced life support instructor so I have experience dealing with medical emergencies, trauma, resus calls in A&E, airway skills etc. But on the scene first aid is less familiar to me and if I were out in the woods with a group of people swinging axes and someone was injured I’d like to be well prepared. The main skills I would like to drill for are initial fracture management and major/catastrophic haemorrhage, as well as basic wound care and dressings. Emergency comms would be a bonus too. The most common course pitched for my experience is a prehospital trauma course, practicing skills required to be in a first responder/air ambulance team, but I’m looking for a first aid course, not a prehospital anaesthesia course. Or “expedition medic” courses which seem to be pitched at medical students/junior doctors who want go travelling- with a course syllabus ranging from snake bites – altitude sickness – how to repair an engine – lighting fires – tarp setup. Some of these advertised courses look ridiculously broad to the point of redundancy. However, a lot of outdoor first aid courses aimed at the general public seem to focus on basic life support, recognition of the acutely unwell person, introduction to ABCDE etc. Thank you for your time, my first question was to try to avoid the above waffle. Any thoughts would be greatly appreciated. If you are in the UK (except Scotland) your local Ambulance service will have a Hazardous Area Response Team (HART). They do Urban Search and rescue, Heights, Water rescue, mass casualty and so on. You may be able to swap training with them. I know when I was doing it I would have loved the opportunity to swap skills with you. There is some cross over with HEMS. No paramedic would turn down the opportunity to spend more time with an anaesthetist. Everyone loves their theatre time. I would recommend having a chat with Adam Gent at Real First Aid, to see if he can provide the specific training you require, perhaps even on a bespoke basis.